Dimensions: 5 x 7 in. 144 pages. Hardcover. Outrageous, poignant, or bitingly witty the things our children say always offer an unexpected glimpse into a world that is all their own. Filled with roomy pages for jotting down conversations or overheard saying, this handsome keepsake journal also features a bound-in photo window for adding a unique, personal touch. 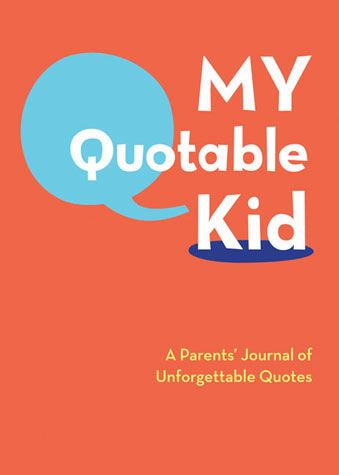 Whether parents prefer safely stowing precious insights for future generations or sharing priceless quips with family and friends, My Quotable Kid will become a lasting record of a child's most memorable quotes.